Dance at the party, tilts and turn your hair every angles, show to the world how faultless and astonishing’s our “CHELSEA” Brown Sugar Glueless wig 201 is. Be the sexiest in the city with our “BSG201 Chelsea! Brown sugar glueless lace’s a whole new phenomenal experience level breakthrough you’ve all been craving for! With excitement we proudly introduce you “BSG201 Chelsea” Ravishing glueless lace soft Marcel wave curls with a natural side part. 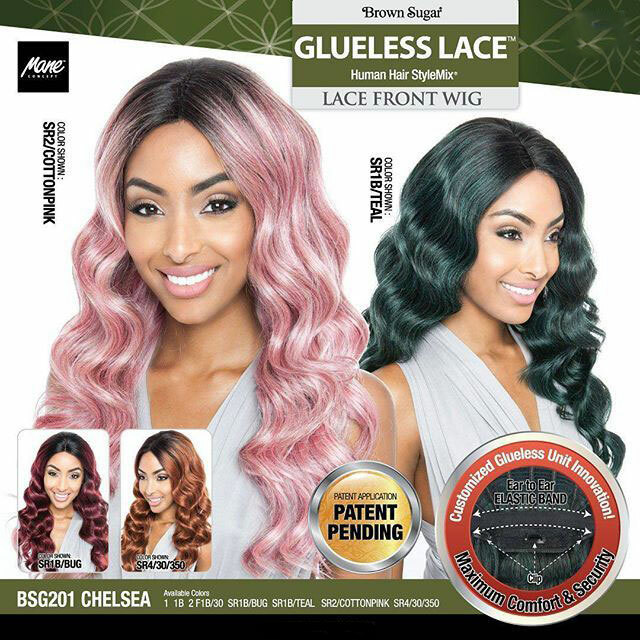 The greatest value of Chelsea is designed to provide better adjustment with painlessly band allowing to expand it further assists in securing and holding the wig in place through physical activities.